When a Candle isn’t a Candle! Conjure workers, root doctors, and Swamp Witch’s alike, use candles. In fact, most spiritual paths use candles in some form or fashion. I won’t speak on all the other paths, but I can tell you, chere, that in Swamp Conjure, a candle is considered a tool. This particular tool is used to help focus your mind and intent on the task at hand. Now, keep in mind that in many of the traditions that are based upon the different forms of folk magick, a candle isn’t always ‘just a candle’. As I said, candles are tools. But not all tools are created equal. These are magickally “fixed” candles – dressed with magickal conjure oils and then dusted with herbs or blow powders. The oils and powders add additional power that help in manifestation of your intent. These fixed candles are often hand-prepared, which helps to impart certain energies into the candle as it is created. Miss Sha’, Swamp Witch that she is, takes hers a wee step further, and adorns them with a symbolic charm. The charms are meant to, again, focus your intent on the goal. As the candle burns, it releases the charm symbolizing attainment of this goal. Prosperity means different things to different folks. To some, it’s wealth and status. To others, it comes in the form of success and promotions. But one of the most common forms is cold hard cash. And who couldn’t use a little extra dough? Our “Benjamins” is anointed with our #1 best-selling Money Oil, which we call Fast Cash Oil. This oil has proven quite effective when it comes to needing some extra dough for a bill, or rubbing on your last $20 bill before dropping it in a machine at your favorite casino. We have also dusted this beautiful candle with our Crown of Success Powder and just a pinch of magnetic sand. You may also find small pieces of shredded cash stuck to the candle when it arrives! Use this candle however you see fit – but a common Swamp Conjure use is to carve your desire on the side of the candle. Write out a petition – be sure to be very specific – and place this petition under the candle as it burns. Light your candle. When the charm is released, your working is well on the way. Repeat this process, periodically, if you wish to boost the energies. Boom! That’s all there is to it for using the fixed candles created at Inexplicable Things. 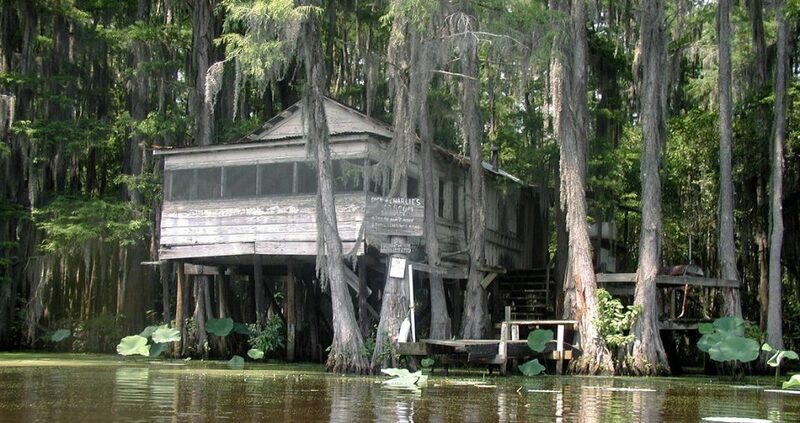 Here in the swamp, we like to keep things as user-friendly as possible! Nothing fancy! We also currently offer a Fixed Road Opener Candle, as well as a Flames of Passion Fixed Love Candle. There will be more forthcoming! To see any of the items we spoke of here, please visit Miss Sha’ and Mr. Kelly at www.inexplicablethings.com.